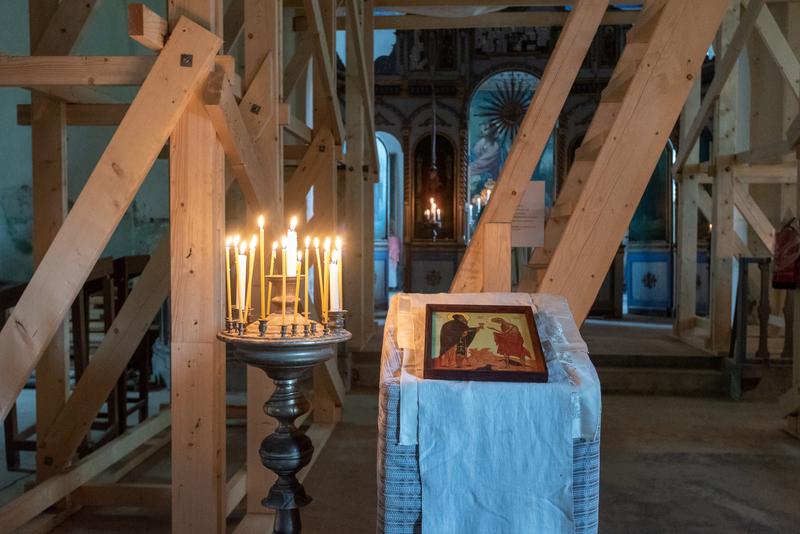 In 2017 Vanaajamaja initiated a project to save the Orthodox Church of St. Nikolay in a small village called Lalsi in Southern Estonia (MAP). The church is not only a national cultural monument (no 14541) under state protection, but also an important historical and cultural landmark, closely tied to the identity of this locality. The church is built of fieldstones and it has a tin roof. 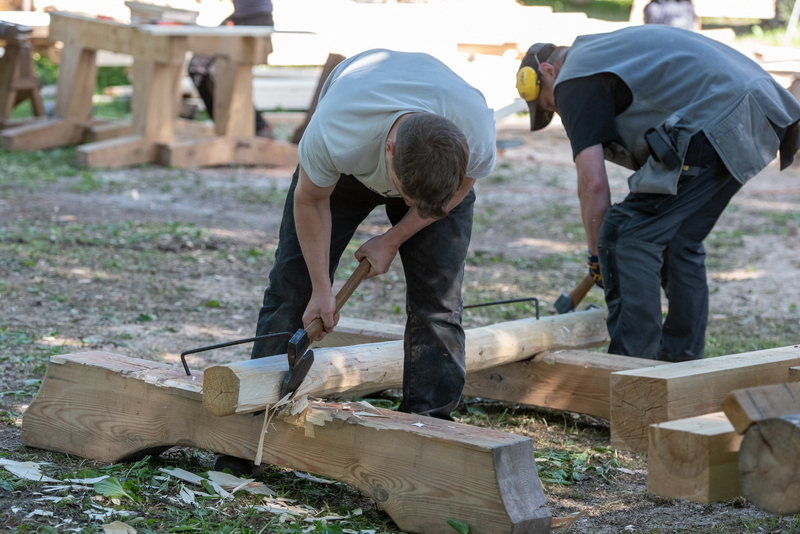 Roof construction is timber framed structures, which were appreciably rotten. Parts of the roof have been leaking for many years, and the ceiling has partially collapsed. 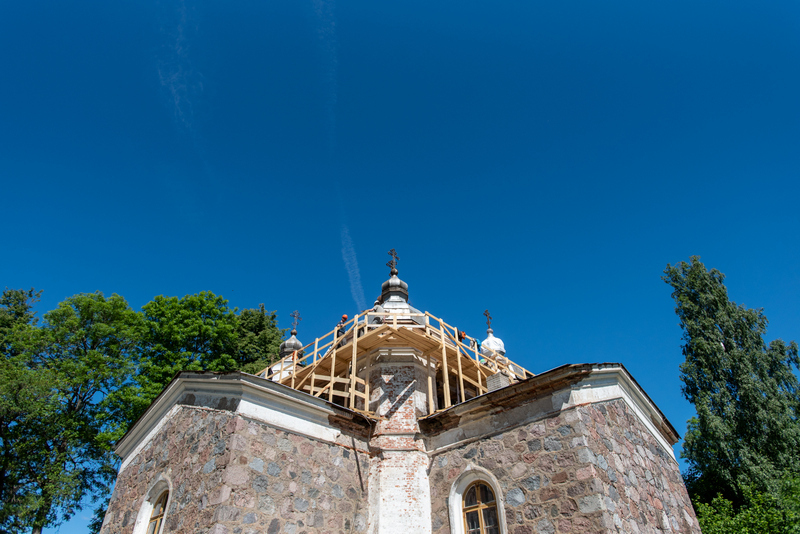 Works will continue with the four coner towers – to build new construction, restore the crosses, cover the tower with tin. More detailed works and time scedule will be announced in Feb-March 2019. 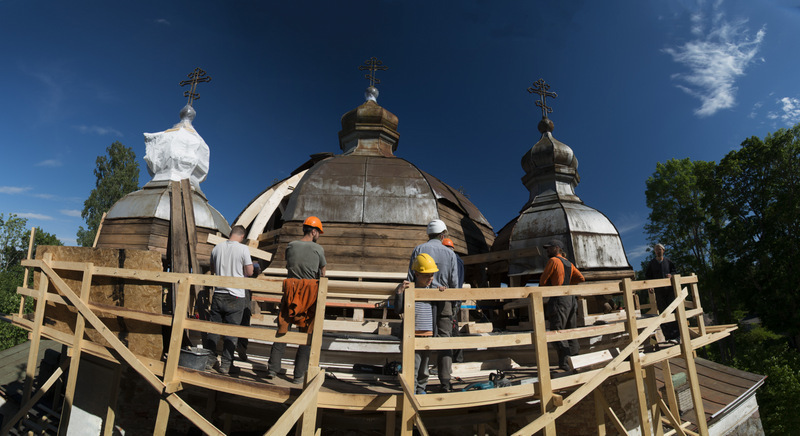 From June 4 – 9, 2018 restoration workshop took place at the church to exchange the roof of the main dome. 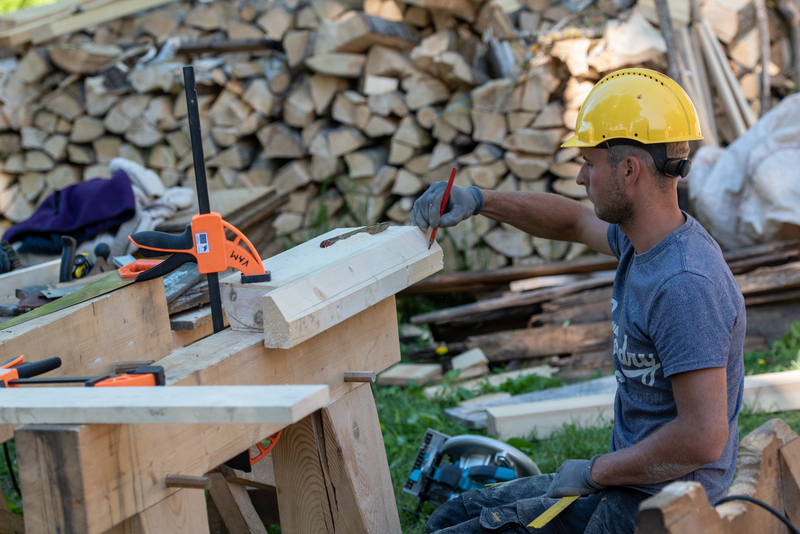 The works were concentrated on timber works and repair of roof constructions. All together 30 volunteers contributed 1 400 working hours and a lot of good will. 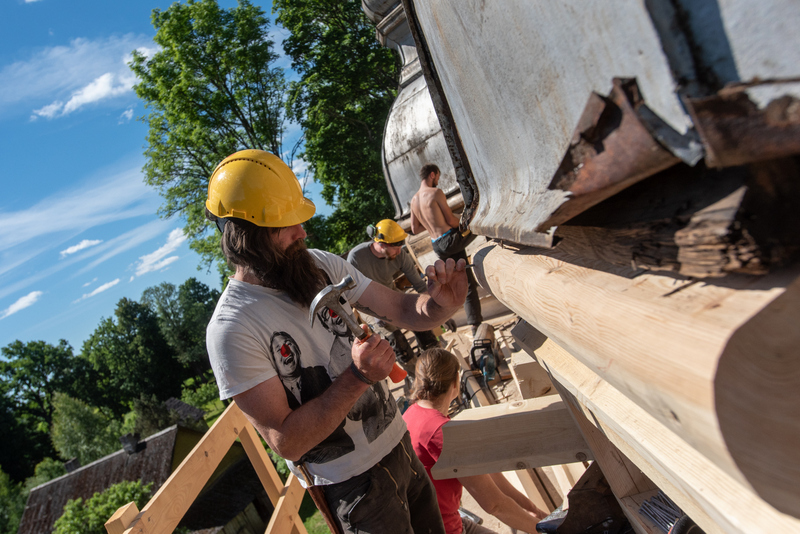 In May 2017, a workshop comprised of international volunteers was conducted on site. The main goal for the first year was to rescue the building from further damage. 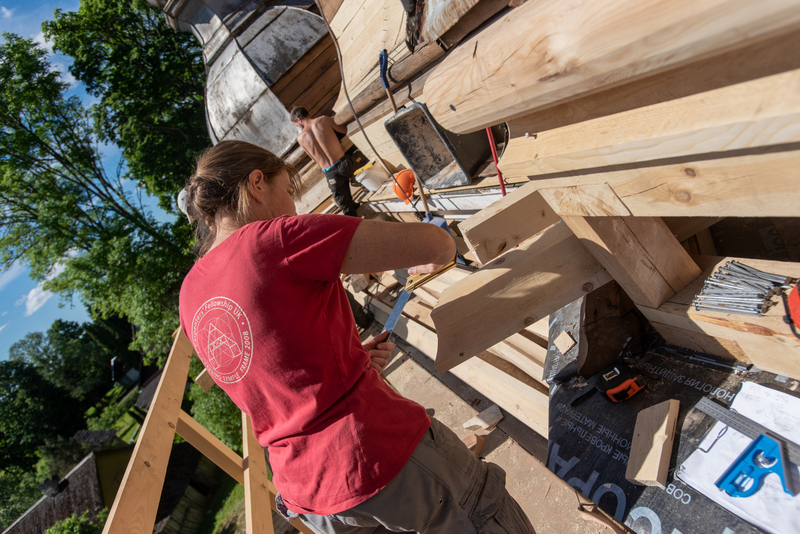 Over the course of two weeks, 22 volunteers contributed 1 000 working hours to open the ceiling and damaged structures, replace the timber-framed roof structures, conduct masonry work on the roof level, repair the foundation, and restore the stairway. 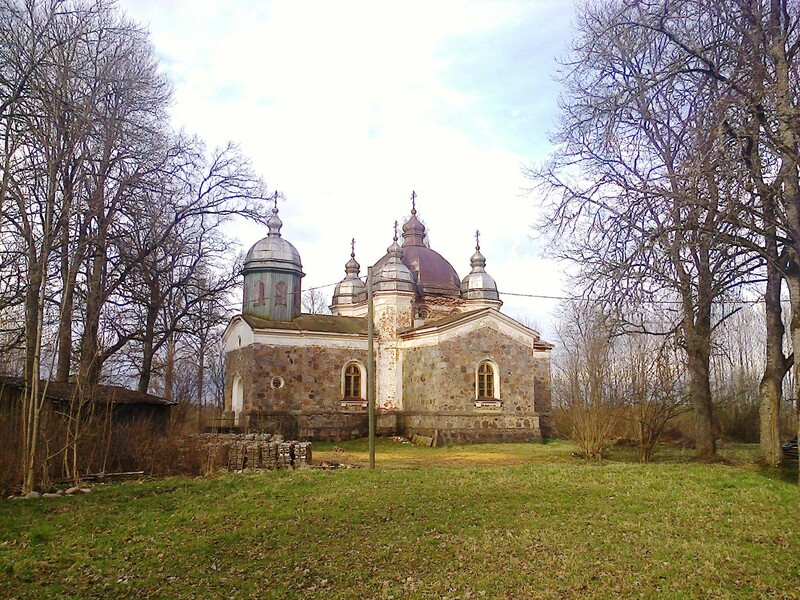 The Orthodox Church of St. Nikolay is located in Lalsi Village, Kolga-Jaani Rural Municipality, Viljandi County. The church was built between 1871 and 1873, based on a standardized design produced by Riga architect G. Schel. 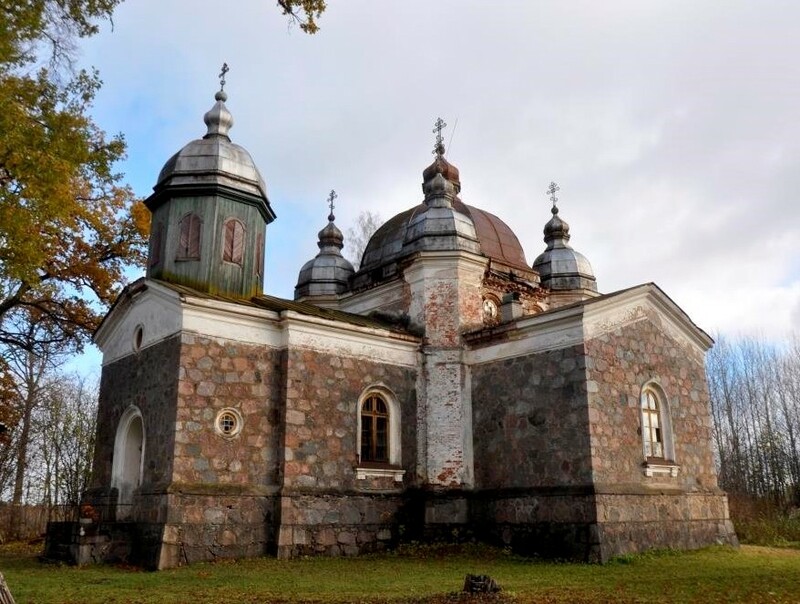 Ten similar Orthodox churches were built in Arusaare, Penuja and Tuhalaane in Viljandi County, Uruste and Pootsi-Kõpu in Pärnu County, Kavilda in Tartu County and on Saaremaa Island. 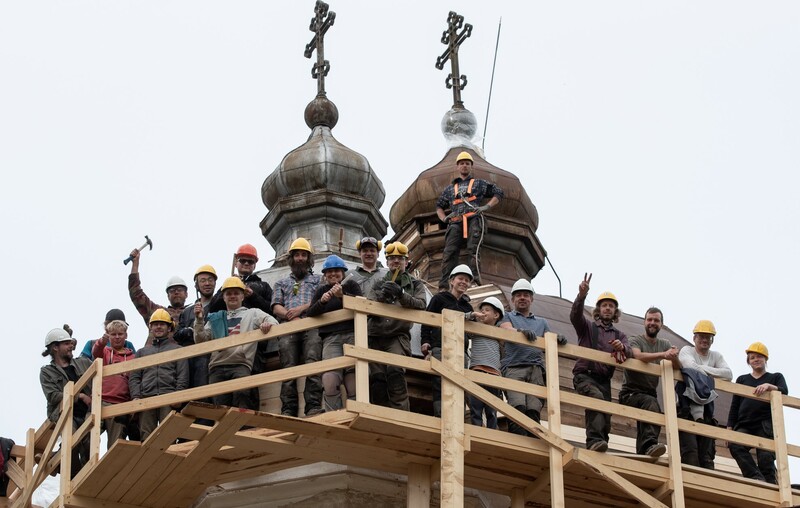 The construction of the church was financed by the Ministry of Interior of the Russian Empire, based on an imperial decree from 1869, regarding the construction of Orthodox churches in the Baltic provinces. The five-domed church, which mimics the Byzantine style, is shaped like a cross and built of fieldstones. The corner towers are laid of brick and covered with render. 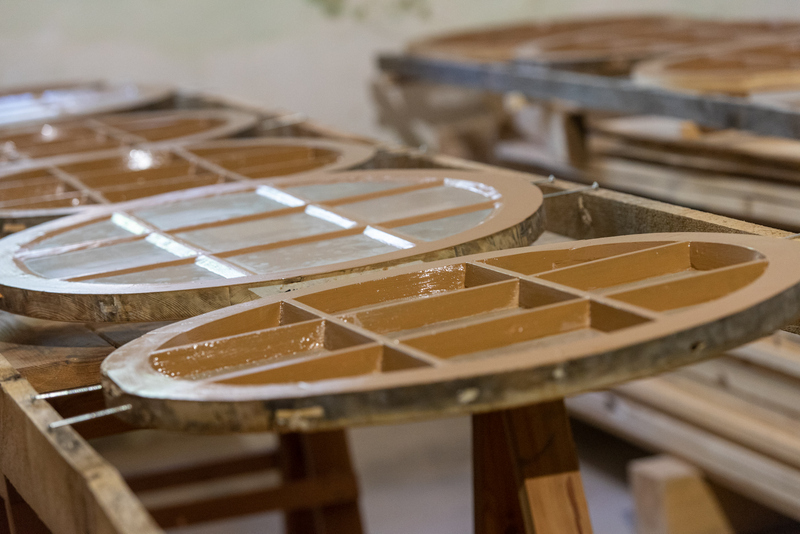 The wooden iconostasis is covered with white oil paint and the decorations are gilt. The surviving wooden bell tower distinguishes the church from other surviving churches. During the church’s heyday, in 1891, the congregation has 2,618 members; today there are about 100 times fewer members. The church is maintained by the nonprofit EAÕK Lalsi Püha Nikolause Kogudus (member of the board Marta Suigusaar). The priest is Stefan (Ilon) Fraiman. The church and the parish school, which is located across the street, played a vital role in the local community until World War II. 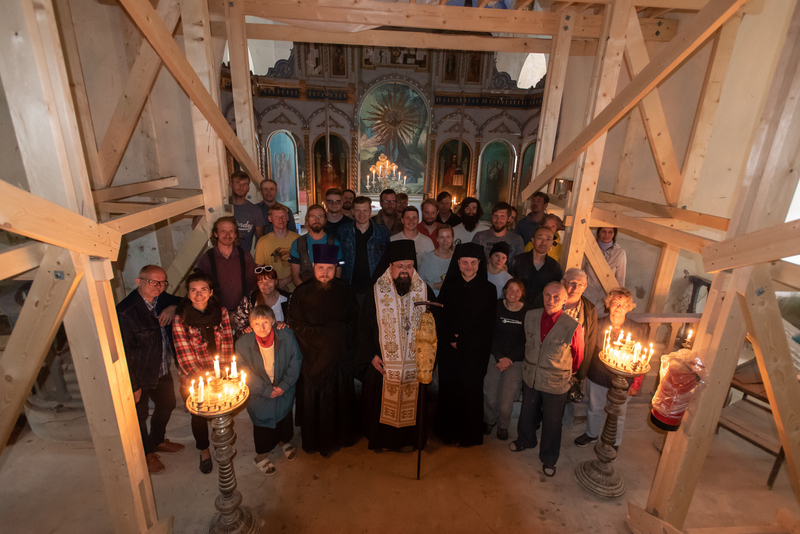 And despite the religious repression during the Soviet period, the congregation survived and the church was maintained. The Estonian War of Independence monument next to the church is dedicated to the congregation members who died in Estonia’s fight for freedom. 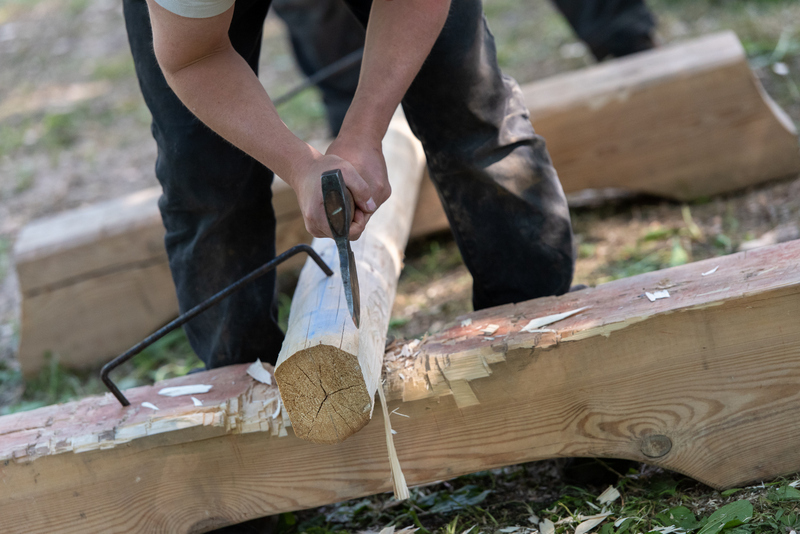 The monument was toppled when the Soviet Union annexed Estonia, and in 1988, it was the first to be publicly re-erected as the Soviet era was coming to an end. Thus, in addition to being an architectural and religious monument, the church is also an important historical and cultural monument closely tied to the identity of this locality.